Now dancing with your fingers…THAT’S where it’s at these days. 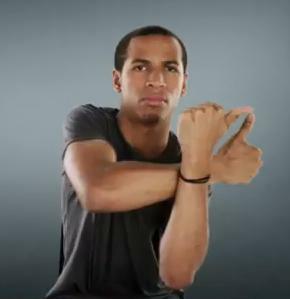 This is JayFunk doing a little finger tutting. (YES, that IS really what it’s called and NO I REALLY didn’t make it up). Sure ultimately it’s a commercial, but honestly that really doesn’t detract from the eye candy aspect one little bit.